How to deduct mortgage points on your tax return. Mortgage points and interest are one of the major itemized deductions available for taxpayers. This article shows you how you can take maximum advantage of these expenses. It is fairly common knowledge that home mortgage interest is deductible, but knowing how to deduct the points that are paid can be tricky in some situations. Of course, for any points or interest to be deductible, the taxpayer must be able to itemize deductions and the mortgage must be for either the taxpayer's primary or secondary residence. Interest on other homes can also be deductible if they are used for rental or investment purposes, but this interest would be listed in either Schedules C or E.
In order for your points to be deductible, they must be considered prepaid interest and not a fee for services that are charged separately. Points that are paid for purchasing, building or improving your primary residence are fully deductible in the year that they are paid. Points that are paid for home equity loans are also fully deductible to the extent that the proceeds are used for actual home improvements. Points paid for home equity loans that are used for debt consolidation cannot be deducted. Points that are paid for the purchase or improvement of a second home are also deductible, but must be prorated over the life of the loan. If the seller of a house pays points, they are deductible for the home buyer, but the buyer must reduce the cost basis of the house by the amount of the points. Points that you pay for refinancing your mortgage must always be prorated over the life of the loan. For example, if you pay $3,000 of points when you refinance in order to buy down your rate, then you can deduct $100 of points each year for a 30-year loan or $200 for a 15 year note. However, if you refinanced and paid the same amount of points as in the previous example and then refinanced again two years later, then you will be able to deduct all remaining points paid in the previous loan in the year of your second refinancing. Therefore, if you initially refinanced to a 30-year loan and deducted $100 for the first two years, then you can deduct the remaining $2,800 when you refinance again. As with all itemized deductions, points paid are deducted on Schedule A. The rules for deducting points are outlined in the IRS instructions for Schedule A on page 7. To access these instructions, visit the IRS website at irs.gov, type "Schedule A" into the search bar and select the instructions link on the following page. 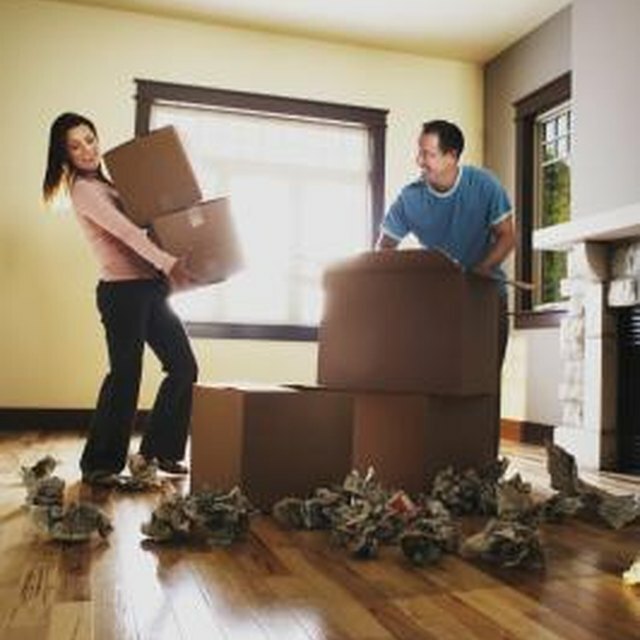 If you purchased a home in the past year and your standard deduction still exceeds your itemized deductions after totalling points and interest, then you can opt to amortize your points paid over the life of the loan instead, thus allowing you to deduct a prorated portion of your points paid starting in the second year of your loan (assuming, of course, that you are able to itemize deductions the next year). This article is intended to be purely educational and should not be construed as specific tax advice. For further information on this subject, visit the IRS website at irs.gov (see Resources below) or consult your tax advisor.